Click on the image on the left to see the photos from the 2017 Fashion Show held on February 23. 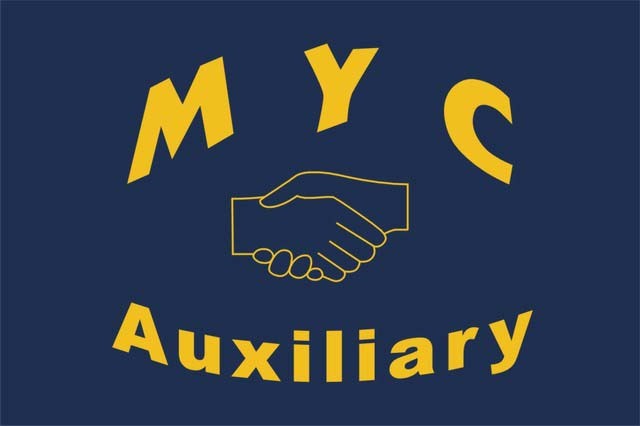 The MYC Auxiliary was formed in 2006 as a volunteer group of people willing to help with the activities and functions of the Club to the benefit of all members (thus the “Helping Hands” in our burgee). We function with the sanction of the Club's Board of Governors. Thus, the “Helping Hands” in our burgee. All MYC members and their spouses or significant others are welcome to join this volunteer group. Dues are $5.00 per year and become payable in February (the beginning of the Club's fiscal year). Meetings are in the Club on the first Thursday of the month, at 11:00 am. Many stay for lunch after the meeting. If you are residing in Florida only part of the year, you may still be a member and participate when you are available. Come to a meeting and get acquainted. Find out how your talents can be a wonderful resource in the Club. 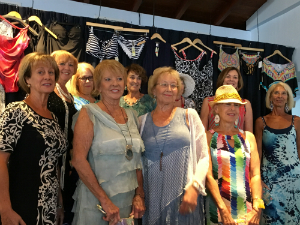 In addition to fund raising in the form of Raffles, Luncheons, Auctions and Fashion Shows, members of MYC Auxiliary perform various functions for special events, help in the Club office when needed, and assist the entertainment committee. We urge you to become a member by filling out the form on the "Application" page. Make out a check for $5.00 payable to MYC AUXILIARY and mail to Marathon Yacht Club, 825 33rd Street, Marathon, FL 33050, or simply drop off the completed envelope in the office next time you are at the Club. Better still, just come to our next meeting and get acquainted! We would like to have you as a member of this important adjunct to the Marathon Yacht Club. The MYC Auxiliary voted to award a $1500 scholarship to a qualifying senior who wants to pursue an education in culinary or hospitality. Applications are available at the High School Guidance Office and are due by April 24. The scholarship committee - comprised of Linda Espeland, Linda Presz and chair C.M. Bishop - will review the scholarship applications. At the High School's Class Night in June, Commodore Don Swatik will present the scholarship given on behalf of the Marathon Yacht Club with monies raised by the MYC Auxiliary.